Just sharing a couple of my recent shoe purchases. They're a little unconventional, but still definitely wearable (hey, I'm trying to expand my shoe horizons). I'm not allowed to wear colors at work (just black, white, brown, and gray), but shoes are a bit of a free-for-all, as long as they're not flip-flops. So I think I'll make up for the lack of color in outfits, with some quirky, colorful shoes. I love these shoes. Love, love, LOVE. They're surprisingly comfortable and all the little details are so adorable! From the embroidered scottie dog and leash to the contrast whipstitching--even the white rabbits in teapots printed on the sole--Irregular Choice is a new favorite. I've been a fan for a while now (from afar) and this is my first pair, but it's certainly not my last! Their shoes are so unique and well-made. Only con? They seem to run a little large. Order a half-size down. I first saw these at Kitson but couldn't justify spending almost $60 on faux patent leather shoes. That didn't matter though because I found them at the DSW in Pasadena on sale for about $25 (yay!). 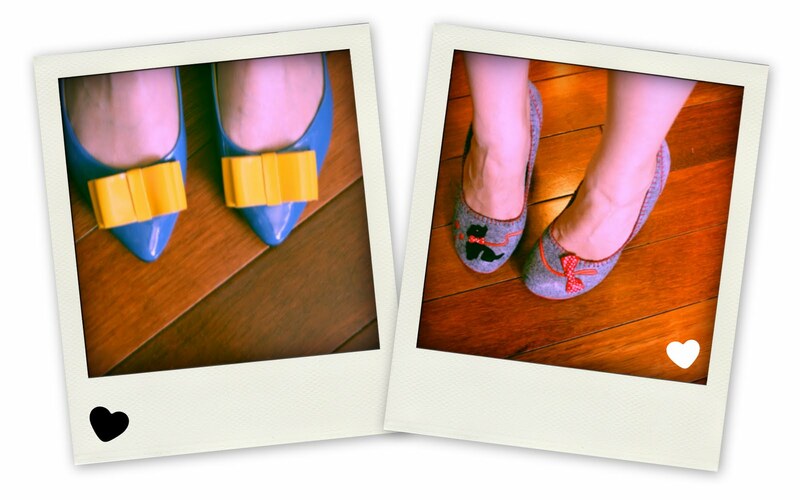 Not for the timid, the colors are bright and happy (and there are bows on the toes!). I can't wait to wear them, although they need some breaking in. Also, thanks SO MUCH to everyone who entered my eVanity giveaway! Winner will be picked and announced soon.